2. And, oh yeah - what is the name of the team at the center of the film? 4. 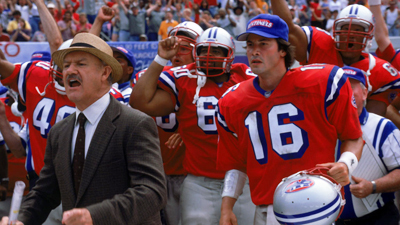 Jimmy McGinty has been out of coaching since "that Dallas mess." What happened in Dallas? 15. When she's not the head cheerleader or flirting with Falco, Annabelle pursues a profession closest to that of which team member? 24. Rallying his team on the final drive, Falco intones: "I wish I could say something classy and inspirational, but that just wouldn't be our style...... Pain heals. Chicks dig __________. Glory... lasts forever."